It's been a very zombie week around here. The above is a graphic that I made to help promote Microcosm Distribution's End Of the World list. Then I got a message from Bosco's saying the *autographed* poster I won at the release party for 100th issue of Walking Dead came in. (yay!!) 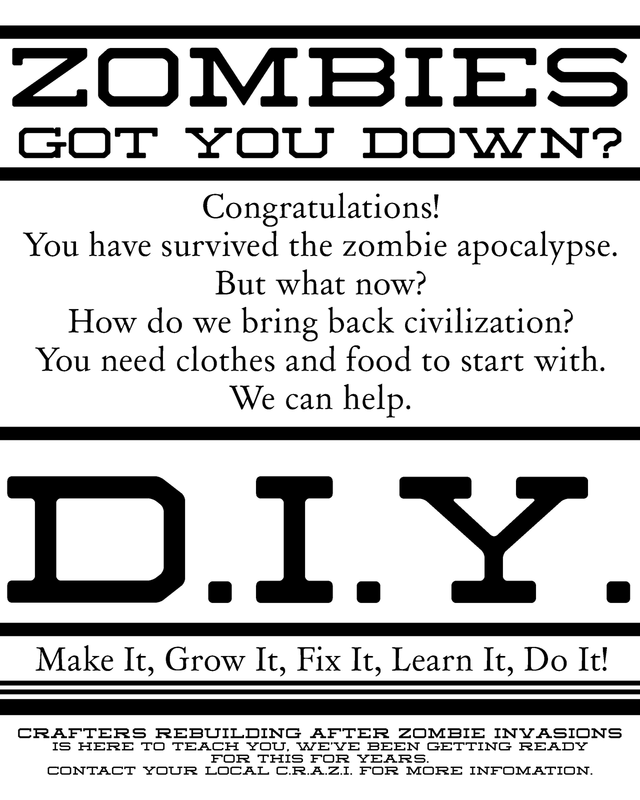 Then the news ran a report about our local zombie preparedness exercise to tell people "Don't Shoot the Zombies"
So, I decided it was a sign that to make a printable poster for zombie craft fans. The poster is in very plain black and white so you can print it on whatever kind of paper you want and have fun adding ink or paint gore to it if you'd like. C.R.A.Z.I. is a silly little acronym I came up with for this project. 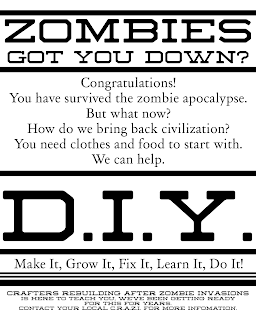 Crafters Rebuilding After Zombie Invasions. 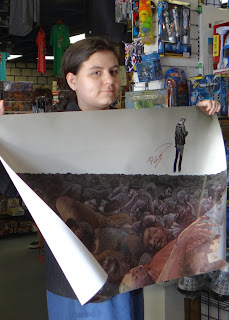 This is TG with my poster. The scrawl on it is Robert Kirkman's (the author) signature. Can't get enough zombies? 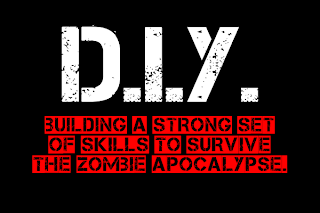 Read my reviews of Zombie Cupcakes and Zombie Felties!